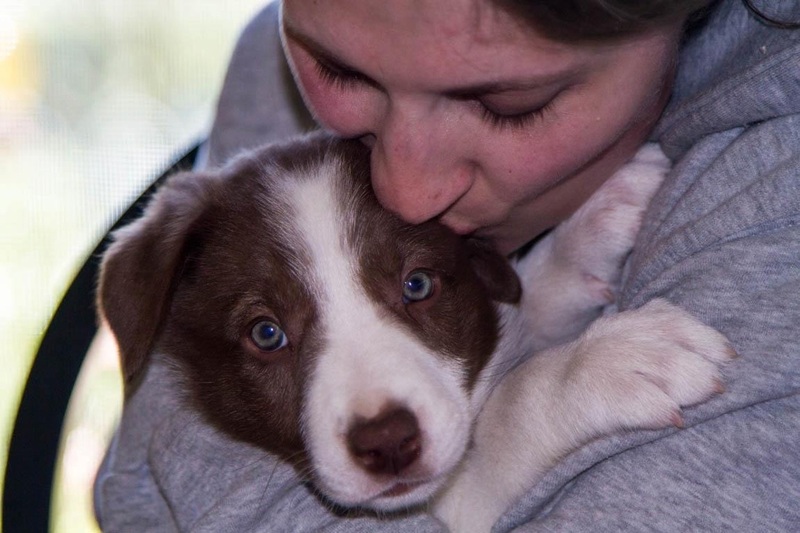 Helo was born on March 5, 2013 at Hob Nob Farm in WA State. 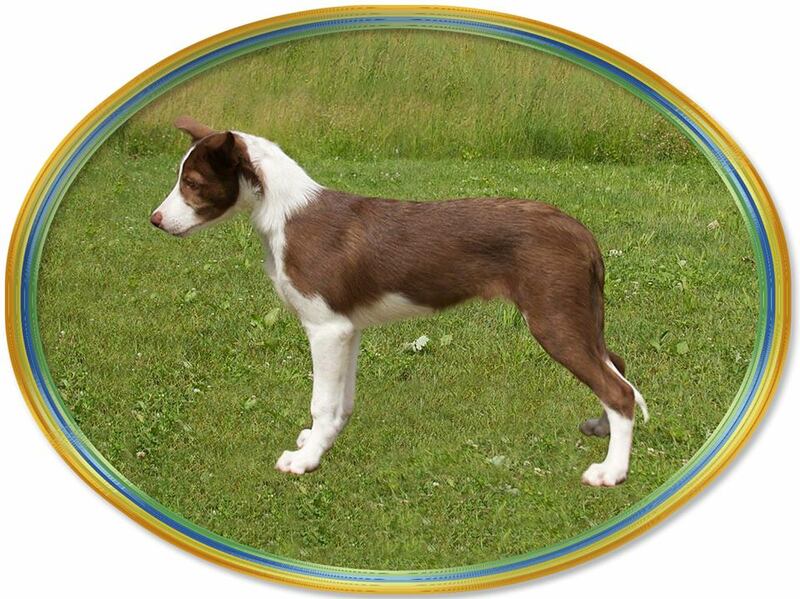 He was bred by Janice DeMello. 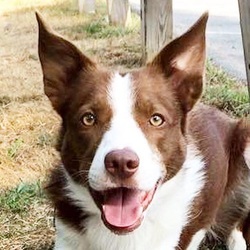 Helo is a nephew to my Leda. Heliocentric is defined as: having the sun as the center. 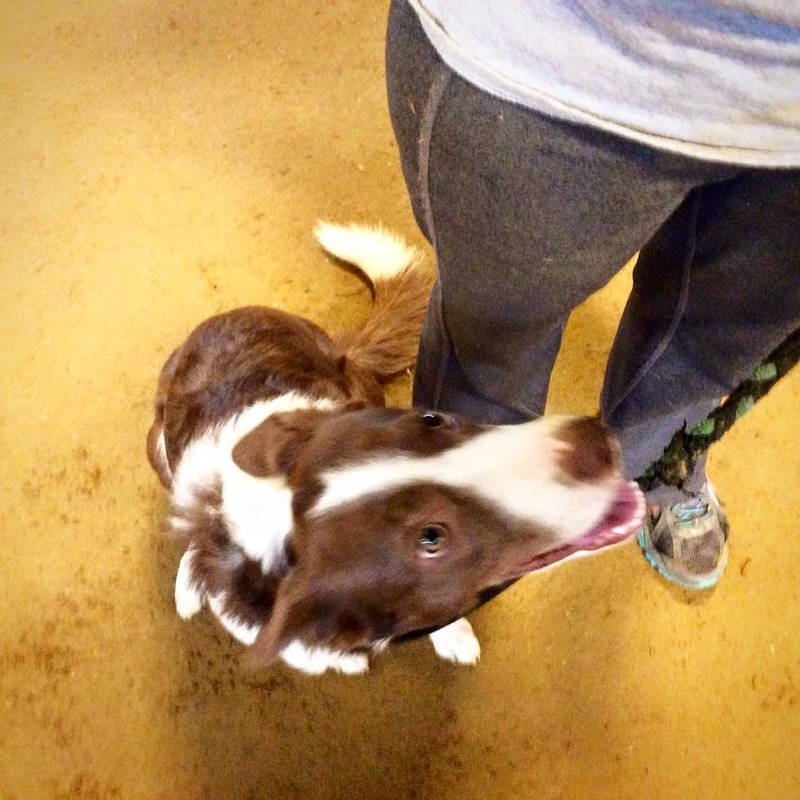 Helo is undoubtedly at the center of my world -- I adore this handsome, clever fellow. 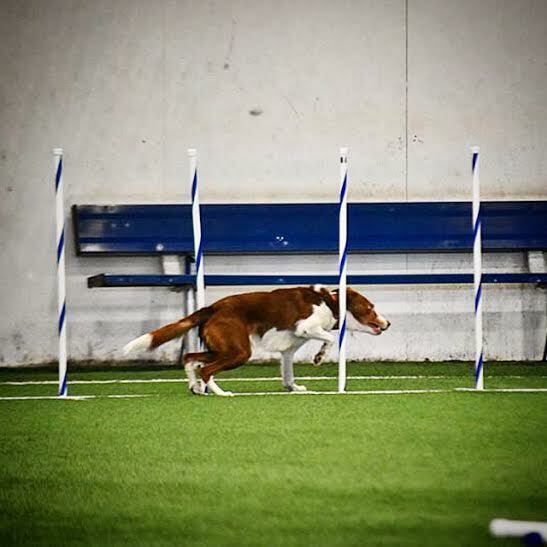 (Ultimate Agility) foundation program and nearly all of our handling training has been with Anthony Clarke -- to whom we owe much of our achieved teamwork. 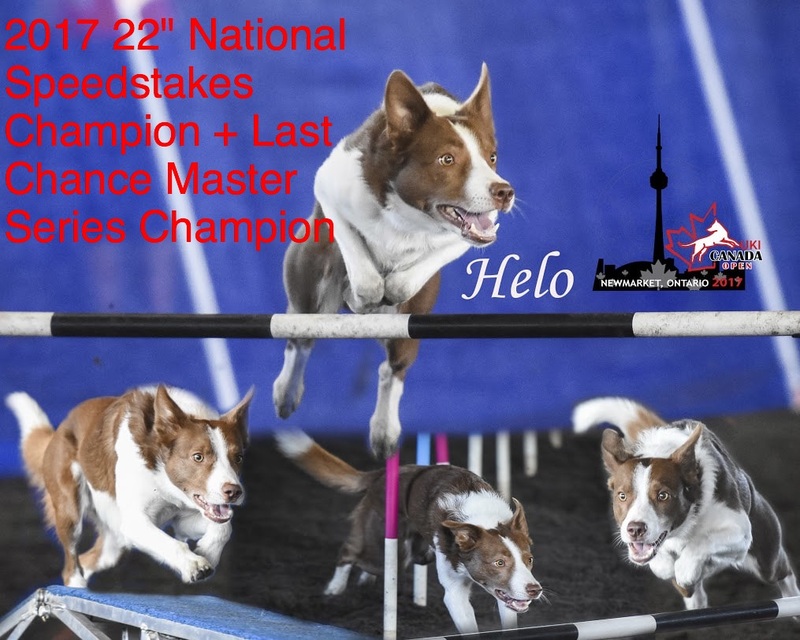 Helo is a UKI International Agility Champion (IAC title) and has won and placed at multiple national and regional competitions throughout the USA and Canada. 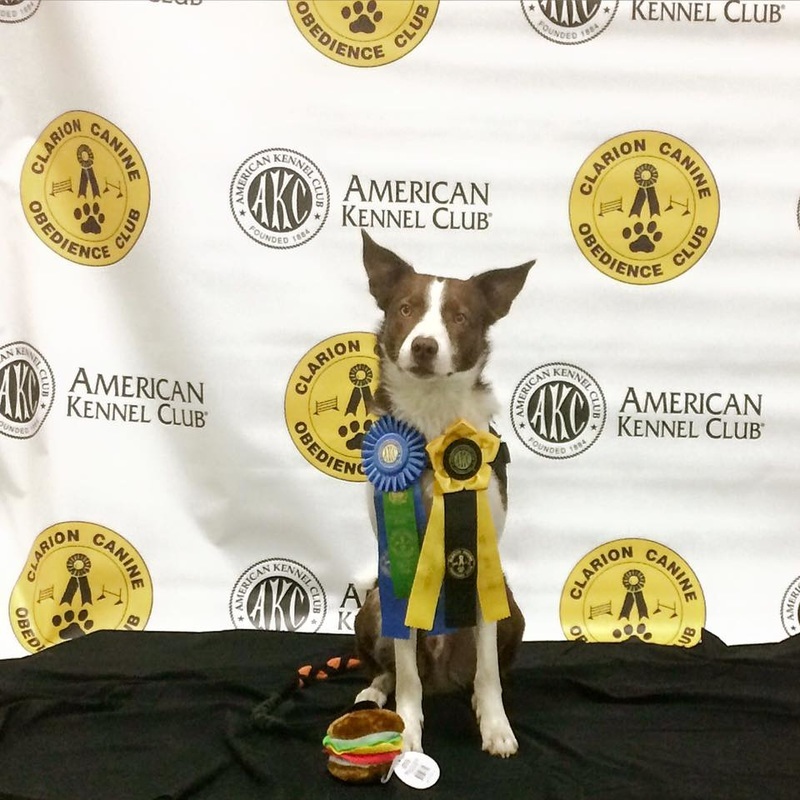 On November 18, 2016 (at only 3 years old) Helo attended his first National competition, the UKI US OPEN in Perry, GA. He made it to the Masters Series Finals and the Speedsteaks Final - placing 2nd! 2017 has been in INCREDIBLE year for Team Helo! 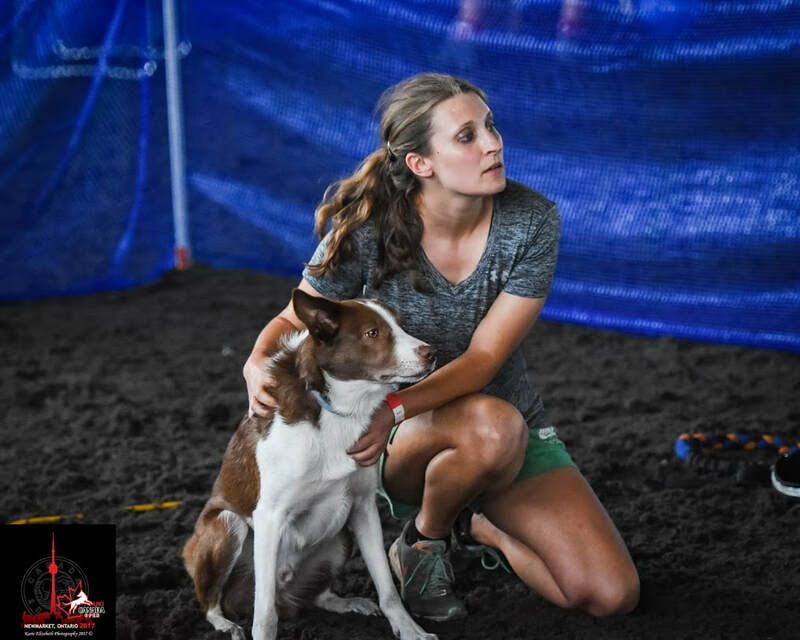 Tara and Helo have earned their place on podiums at either regional or national events more than 18 times!! 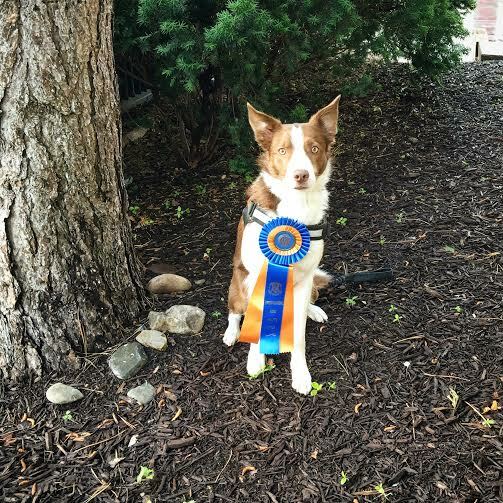 In September of 2017 - at just 4 years old!- Helo has earned TWO National Champion titles. Helo is the 2017 UKI CANADA OPEN 22" Speedstakes Nation Champion and Last Chance Master Series National Champion. For the "Helo Latest" see below. Helo is proof (once again) that a solid training foundation + hard work + consistency = success! I can't wait to see where our journey continues to take us! 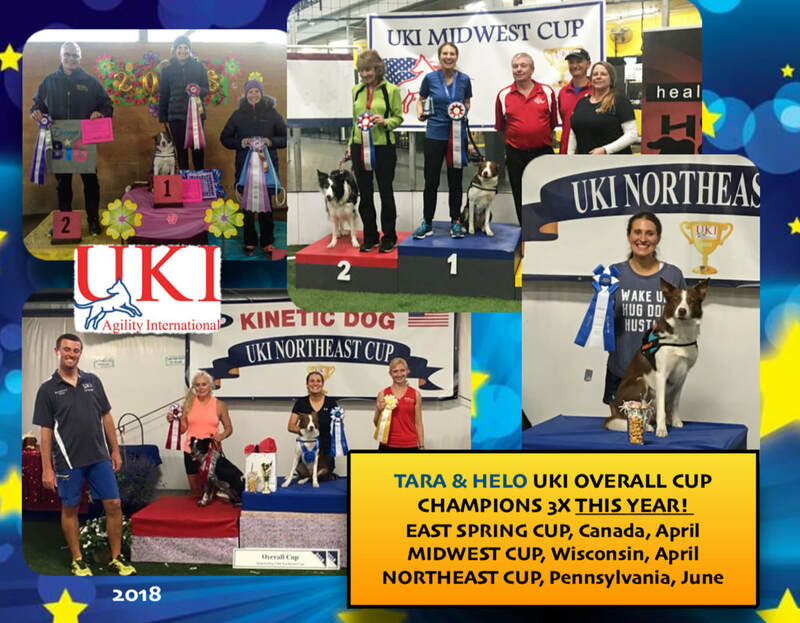 *Helo and Tara are named "TOP DOG" for the 22" class at the UKI EAST SPRING CUP in Canada. April 7-8, 2018. In addition they make 4 podiums, winning Games and Master Series overall, and going second overall in Biathlon and Speedstakes. in the Master Series at the US OPEN. Helo wins the Overall 22"
Introducing: Hob Nob Helo (9 Weeks Old!) from Tara Baggerman on Vimeo.